Spurs on Christmas. Warriors on New Year’s. Full details on the Houston Rockets 2015-16 schedule. Training camp opens next month and now we know what the 2015-16 schedule will look like. 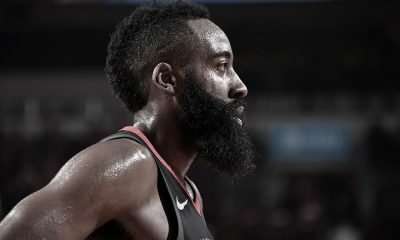 The Houston Rockets will open the season on Wednesday, October 28th, at home against Ty Lawson‘s former team the Denver Nuggets (this news was actually posted nearly a week ago by insider cyberx on the forums). Of course, Lawson is unlikely to play (suspension likely coming) and Dwight Howard also will miss this game due to his one-game suspension. But Howard returns for a big one, and it’s fitting — Game 2 has the Rockets hosting Stephen Curry and the Golden State Warriors on October 30th in a rematch of the Western Conference Finals. Howard’s suspension came when he hit a technical foul playoff limit in Game 5 of that series. 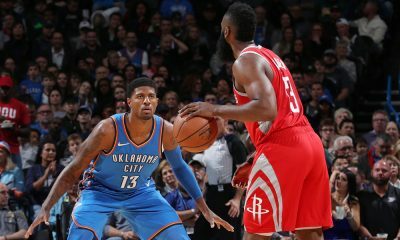 It doesn’t get much easier as the Rockets travel to Miami for their third game, then return home to face Kevin Durant, Russell Westbrook and the Oklahoma City Thunder. In fact, in the first eight days of the regular season, the Rockets will play four home games. The schedule is very home-heavy to start. The Rockets will host Chandler Parsons, DeAndre Jordan Roy Hibbert Samuel Dalembert and the Dallas Mavericks on November 14. 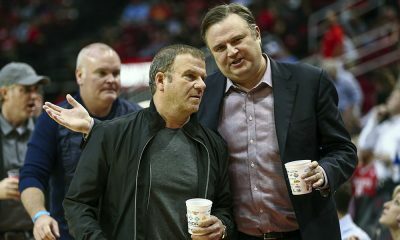 As has become tradition, the Rockets will play a series of home games during Thanksgiving week, but won’t play on Thanksgiving Day. New York and Memphis are two of those home games. 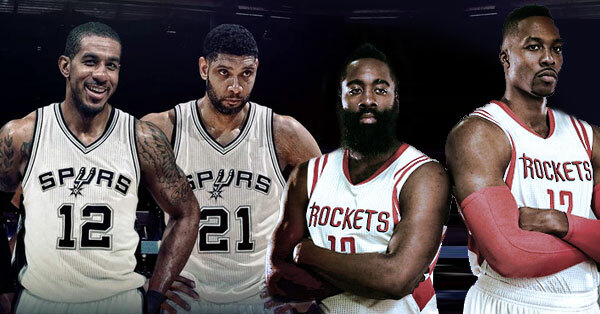 The Rockets will play on Christmas Day at home at 7:00 PM against LaMarcus Aldridge and the San Antonio Spurs. That will be a big one. The Rockets will also play on New Year’s Eve Night at Toyota Center. That has usually been against a weaker opponent. Not this time — Golden State will be on the menu as they break in 2016. The James Harden–LeBron James duel at Toyota Center last year was a classic. That rematch with the Cleveland Cavaliers is set for January 15th in Houston. They will play again in Cleveland in late March. Josh Smith and the Los Angeles Clippers return to Houston on December 19 at Toyota Center. They also play in Los Angeles on MLK Day, January 18, at 9:30 PM Central in a game televised on TNT. The Rockets will play 9 of 11 games on the road after the All-Star break in a span from February 19 to March 12. That includes a 5-game East swing of Chicago, Toronto, Philadelphia, Boston and Charlotte. The Rockets play only three homes games in the month of February. Need a strong closing stretch? 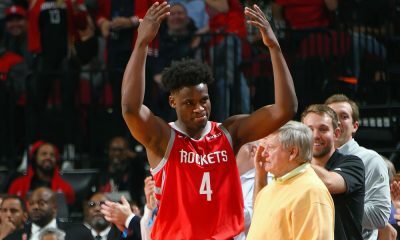 The Rockets may have that opportunity as their final four games are against likely lottery teams — home games against the Suns and Lakers, a road matchup with the Timberwolves and a home date with the Kings to end the regular season. 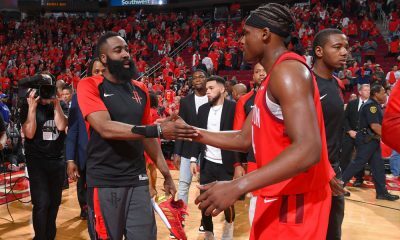 The Rockets will play 10 games on ESPN, eight on NBA TV, seven on TNT and two on ABC for a total of 27 nationally-televised games. Craig Ackerman and Joel Blank did a video breakdown on Rockets.com of the Rockets 2015-16 schedule. Here’s the full schedule in a graphic, courtesy of SportsTalk 790.